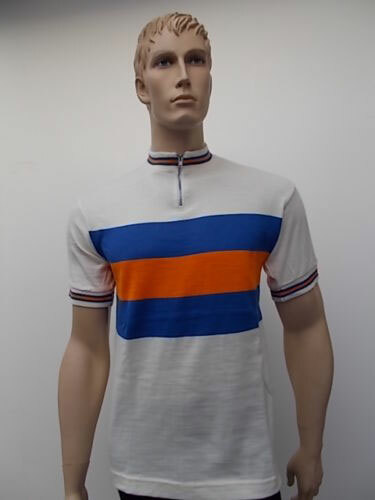 Huge thanks to Riccardo for adding a footnote to our top 10 cycling tops article with these 3M Caverni vintage-style cycling shirts. 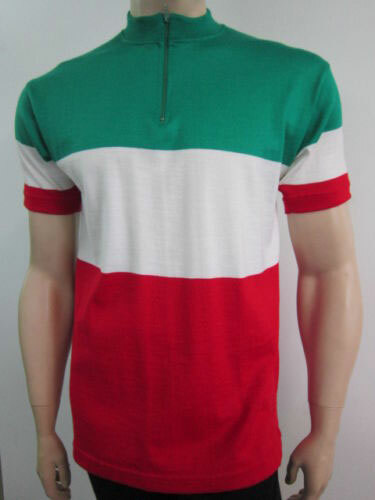 According to Riccardo, the shirts are produced on the outskirts of Florence by a company that was known for producing cycling gear ‘back in the day’. 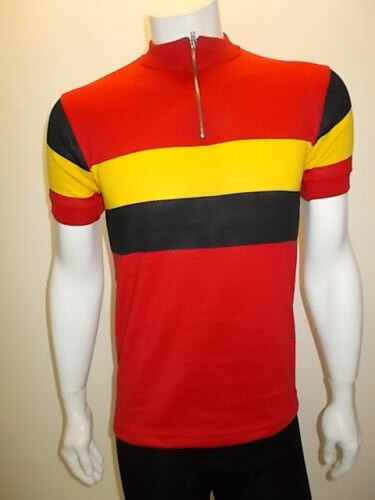 However, when the lycra era came in, they were forced to stop making them. 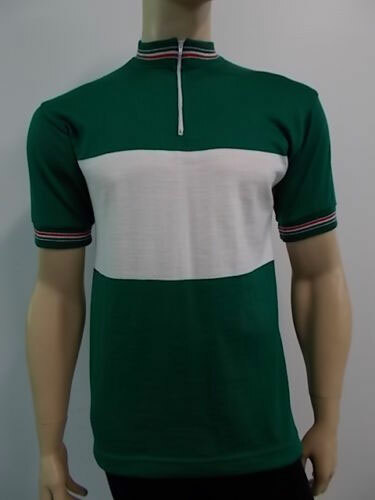 But they didn’t throw away the sewing machines and now, with an increasing demand for vintage cycling outfits, they are back in the shelves. Although finding them isn’t easy. 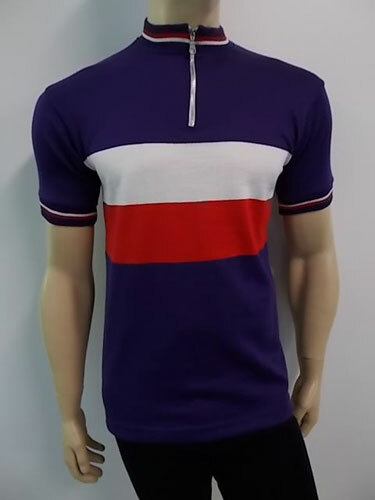 The shirts tend to be sold at stalls at vintage cycling events, but they also sell on eBay too. So you can pick them up mail order. 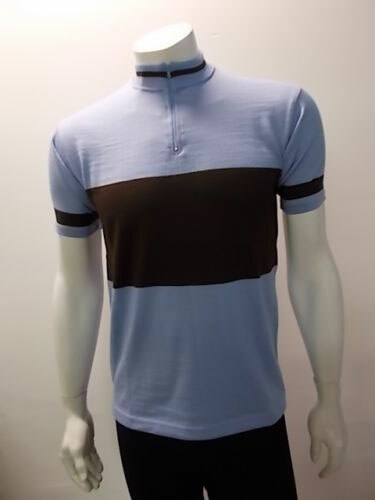 Best of all, the wool / acrylic mix shirts are cheaper than you might think. You are looking at around 44 Euros, which works out at around £39. That sounds amazing value. Some pictured here but see the eBay page for the whole range.